I have been writing about market conditions for most of the year and it is clear that the market has changed a lot. We know that the current market for selling a single detached house is very different from that just 12 months ago and this means that marketing a house for sale must be in line with todays market conditions. It wasn’t that long ago when houses were on the market for a week followed by a chosen day to look at multiple offers with assurance that at least one of the offers would have all the acceptable terms and price. This is not what is presently taking place out there. Real Estate agents who have been in the business for over 20 years know what it takes to successfully list and sell a house in this type of market. There is zero room for error when bringing a new listing to the market. Before you list the property, it is important to know how long comparable properties are taking to sell. This will not only help you in determining a competitive and accurate asking price it can also take the stress out of any uncertainty about how long it should take to sell as well as the current market condition in your neighbourhood. Media releases tend to report on market conditions as one story for all of Vancouver but believe me, every neighbourhood has its own, unique market conditions. 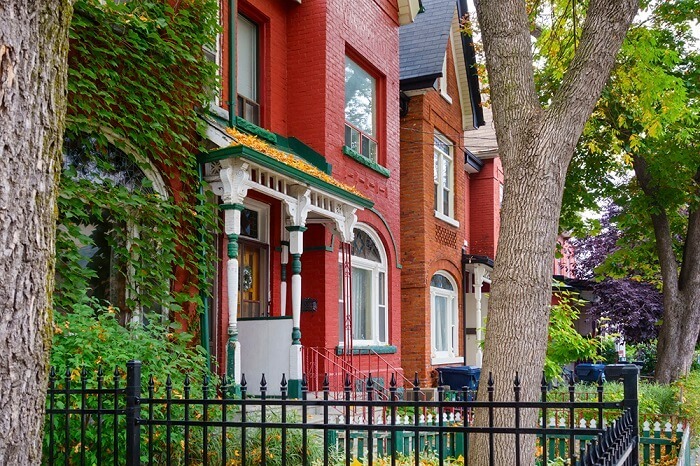 Knowing your neighbourhood real estate market is important. 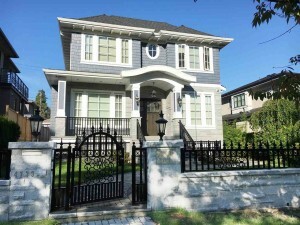 Purchasing your next property in Vancouver should not come with any surprises when it comes time to write an offer. I always ask the Seller if there are any uncertainties or questions about the property they wish to purchase once their home is sold. Is the type of house you are looking for come available often and in the expected price range? Does the desired property in your price range have a high sale to active ratio (is it a buyers market or a sellers market)? What if the desired property does not become available before the possession date on your property? Have you done a cost analysis that shows the positive and negative expenses in both selling and buying? These are a few questions one should address before putting a property up for sale. In addition, I recommend to view a number of listings that the Seller is interested in before they place their property for sale. Knowing that the next move is the correct one and ticks all the boxes is very important. Getting out and viewing listings before you decide to sell is always a good decision. What should I repair or enhance to my property? I can not stress enough how important it is to take care of any repairs before hitting the market. Buyers see a hundred-dollar repair as a thousand dollar repair; it takes their focus off the great features of the house. Take time to do the repairs; it will bring you cleaner and better offers and at a higher offering price. A good real estate agent will have a list of good contractors who are able to take of any repairs in an efficient and professional manner. Doing the small things is big. I always do a walk though of my client’s property starting from the outside. We discuss what can be done to have the property show beautifully. I know that any potential buyer will start to look at a new listing from the sidewalk and that is why the preparation starts with the gardens and continues through to the inside of the house. Many times, I have driven up to a new listing with my client (potential buyer) only to see poorly kept gardens that could have been easily made to look good with a tiny bit of work. The gardens are also the last thing the potential buyers sees when they exit the house. I have seen listings sit on the market that are in need of many but minor repairs. Preparation is key! It doesn’t work to just put a sign for sale on the front lawn and have it advertised on the Multiple Listing Service with photos. That’s old school and a seasoned real estate agent should be learning new skills everyday. That is why it is important to tailor fit a marketing plan to match the house for sale so that it stands out from the rest and it attracts potential buyers who are looking for just this type of property. When I am assisting the seller in getting the property ready for the market I am also working on a marketing plan that will bring all the positive features of the property to the market in a professional and well thought out outline. This is one area I see overlooked on a regular basis and there is no excuse for not having this work complete. When a potential buyer asks questions regarding any of the following Title, Insurance, Oil Tanks Certificates, Hydro, Gas, Permits, Taxes etc they want to know the answers right away. 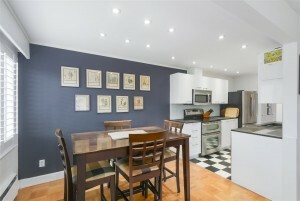 These documents are important information and are pertinent to a successful and smooth sale. Having the documents and answers ready prior to the first day of showings gives the potential buyer confidence and the ability to move forward on the purchase and to write a cleaner and better offer. Pertinent information is key and not having the important answers is unprofessional and can leave the potential buyer with uncertainty. This question is important if you want a team. A real estate team means you list under one agent but there maybe up to 6 to 10 agents working for this person / agent. You want to know if the head agent will be showing your property or one of the team members. I recommend meeting the team member who will be taking care of all showings. You want to make sure that the team member knows absolutely everything about the property and what is important to you as the Seller. I, many times, have being showing a property to my buyer and asked the team member a basic question only to have the answer “I don’t know – I will have to get back to you.” Again, having the answers at the time of showing is important as previously written. Another important detail is if there is a confirmed and agreed time to show the property at say 2:00 pm that means a 1:30 pm to 1:45 pm appointment for the listing agent. A listing agent should be at the property well ahead of the requested showing time to set up the property so it is showing perfectly. Sometimes there is very little to do but sometimes there are a few things to take care of before the buyer and buyers agent arrives. Welcoming the buyer and buyer’s agent at the front door is a great start and you can have a short discussion about the property and answer any immediate questions before the tour starts. Hence, the first impression is professional. Communication between you and your agent should be determined and agreed upon on what you expect during the course of the listing. I communicate with my clients on a regular basis. I follow up after every showing to give the seller feedback on how the showing went. After an Open House, I always contact the seller to give feedback on the Open House activity and share the feedback from those who came through the property. Communication is important and a seller should never wonder why they have not heard from their listing agent, ever. These are seven discussion points that you should have with your agent before you start the process of placing your property up for sale in Vancouver. Please call me if you have any further thoughts. I am always happy to hear from you.